As the end of 2015 beckons I start to think of all those ‘shoulda, woulda, coulda’ reads I was so sure, or insistent, that I would get to this year and haven’t and think ‘ooh I must read that at the beginning of next year’. I am not sure how realistic this will be as one of the books which I wanted to read the most in 2014 I only got around to in the second half of this year. That book is H is for Hawk which was one of the books of last year and became something of a sensation. I have to admit that I was slightly worried it wouldn’t live up to the praise from here there and everywhere, however it completely exceeded everything that I could imagine it would achieve. When Helen Macdonald learns that her father has died, her world naturally implodes. Grief can affect us in so many ways that it is never the same for any of us, yet in what seems a initially rather extreme reaction to her bereavement Helen sets out to get a hawk, Mabel, to train to distract herself from the world of people and emotional pain that surround her. Yet we learn this is not such a rash decision for Helen has grown up with a huge love of birds (particularly birds of prey) and as we read on we also discover how other people have used the keeping, taming and training of birds as ways to deal with the outside world, one being the author T.H White. Now I have to admit if I had been sold this book as being about goshawk training, grief and T.H. White, an author who I have never read, I would probably have not have read it. In fact this might have been what stopped me from reading a proof when one arrived eons ago, well how stupid was I? So, if on the off chance you are one of the few people who haven’t yet read it you might feel the same, think again because this is a book that will affect you on so many levels you will be left slightly bamboozled as to why you don’t only read books about goshawk training, grief and T.H. White. Yes, I love it that much; it hooked me in, gripped me and then broke me along the way – something I have realised I really rather like in books. I found H is for Hawk fascinating and gripping in all of its three strands. Firstly I love birds and indeed whilst I didn’t have a bird of prey as a child the neighbours did (they owned Riber Castle Zoo and when they left they took the bald eagle with them) and I did have a pet duck called Rapunzel, not quite the Red Kite I would have dreamed of but she was amazing and probably actually a bit better as she was cuddly and flew to your feet, not your arm, when you called her. So to read about the world of falconry and taming birds of prey I found fascinating. I also love the way in which Helen writes about it, there is no textbook babble here just pure enthusiasm and passion for the art and the birds. Without sounding like a weirdo (or more of one) I find books about other people’s grief incredibly cathartic. Not because I think ‘oh phew someone is having it worse than me’ (for the record that would be weird) but because having gone through grief it is a relief/help to hear that other people have gone through all the feelings you have, albeit in a different way, plus many you haven’t but more of all that you weren’t completely batshit crazy when you went through them. I didn’t go out and get a goshawk, though I pondered a pug, I did completely cut off the people I loved from my life and wake up and cry every day. Reading a raw, brave and unflattering account of grief like Helen’s, and indeed Cathy’s earlier this year, makes you feel less alone. This is important. This will also call out to anyone whether they have been bereaved or not because we all know heartbreak, we all know love, we all know loss. Here’s a word. Bereavement. Or, Bereaved. Bereft. It’s from the Old English bereafian, meaning ‘to deprive of, take away, seize, rob’. Robbed. Seized. It happens to everyone. But you feel it alone. Shocking loss isn’t to be shared, no matter how hard you try. I have to admit I didn’t think that the elements of T.H. White’s story would grip me though. And they bloody well did, without me having ever read any of his books which I now want to go and read. The story of a man who feels a complete outsider because of his sexuality and all that it stands for and alludes to is quite a heartbreaking one (have a hanky at the ready with this book). As we read on the story as White gets his bird becomes as gripping as the trials and tribulations with Helen and Mabel, yet with different outcomes, though I don’t want to give anything away. Again here I felt like the book chimed with me again having myself gone through all that questioning, fear and misunderstanding of myself as I came to terms with my sexuality. Here Helen’s writing shows utter empathy, complete understanding and an ability to conjure and channel these feelings. 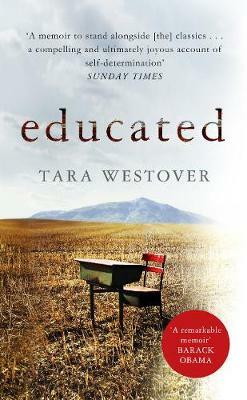 This book just resonated more and more with me which is always quite a magical thing when it happens with a book. I should say that all this will grip any reader regardless of whether they have owned birds, been bereaved or have come to terms with sexuality. Many people have said that Mabel is the star of H is for Hawk and while she is indeed an incredibly captivating character, she would not be so in the hands of any old author. It is Helen’s writing that makes her so and her writing is just wonderful. Mabel (and I apologise for this) flies off the page, as does every element of this book. I felt I was almost a ghost in the room watching the two of them as Helen describes her time taming and befriending, because it is a respectful friendship, Mabel as well as feeling the joy of watching Helen using Mabel as her view of the world, as she becomes a goshawk herself mentally, and then how Mabel’s view of humans and Helen herself helps her to comes to terms with things, even if she might not credit herself for it. Writing from the heart is not easy to come by, captivating and beautiful writing from the heart even less so, the latter is how Helen Macdonald writes and I thank her for sharing it, and her story, with us. The feathers down her front are the colour of sunned newsprint, of tea-stained paper, and each is marked darkly towards its tip with a leaf-bladed spearhead, so from her throat to her feet she is patterned with a shower of falling raindrops. Her wings are the colour of stained oak, their covert feathers edged in the palest teak, barred flight-feathers folded quietly beneath. And there’s a strange grey tint to her that is felt, rather than seen, a kind of silvery light like a rainy sky reflected from the surface of a river. She looks new. Looks as if the world cannot touch her. As if everything that exists and is observed rolls off like drops of water from her oiled and close-packed feathers. And the more I sit with her, the more I marvel at how reptilian she is. The lucency of her pale, round eyes. The waxy yellow skin about her Bakerlite-black beak. The way she snakes her small head from side to side to focus on distant objects. Half the time she seems as alien as a snake, a thing hammered of metal and scales and glass. I could enthuse even more, I will instead round off my thoughts. H is for Hawk is an incredibly special kind of read, which all the above culminates towards, simply put it is a generously open, honest and brutal yet beautiful book. Helen Macdonald takes us completely into her life and her world at a time when she was at her most broken and vulnerable and shares that with us in all its technicolour splendour of emotions. When I finished reading it I couldn’t help feeling that Helen’s father, Mabel (if birds could read) and T.H. White would have been both deeply honoured and immensely proud to live on forever in such a wonderful book. Yes, I too think that H is for Hawk is outstandingly good; one of everyone’s books in 2014 and certainly one of mine in 2015. She can draw ducks, there is no end to this woman’s talents! If you would like to hear more about H is for Hawk from the authors mouth, you can listen to an episode of You Wrote The Book where Helen and I talk about the book, birds and much more in a cafe (so excuse some of the background noise) here. If you haven’t read the book already then I cannot recommend it enough, go and buy it and spend the Christmas holidays with it I beg you. 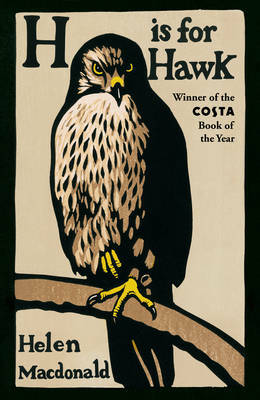 If you have read H is for Hawk I would love your thoughts on it, as with any book we’ve both read. 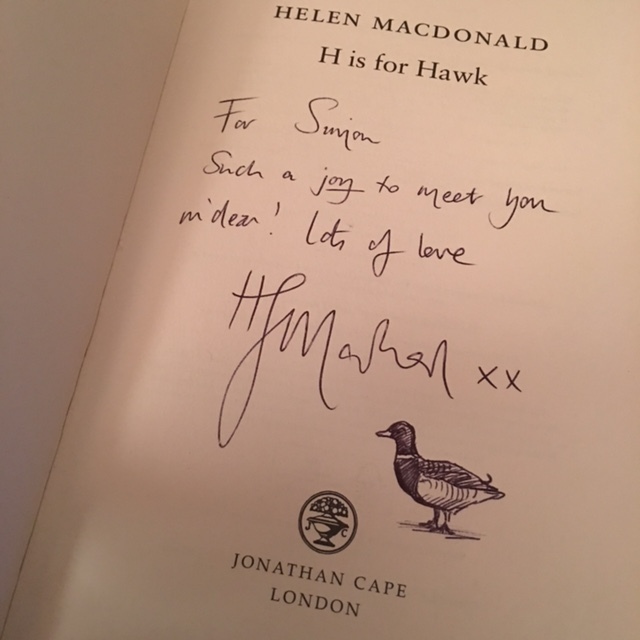 Tagged as H is for Hawk, Helen Macdonald, You Wrote The Book!